Check out This Beast! 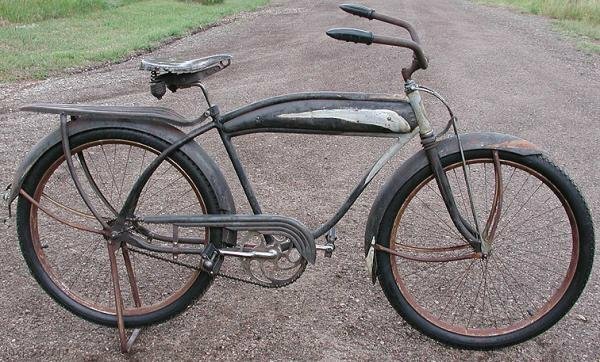 It’s a 1940s, Prewar, Cleveland Welding Company Built, Fleet Wing Bicycle. 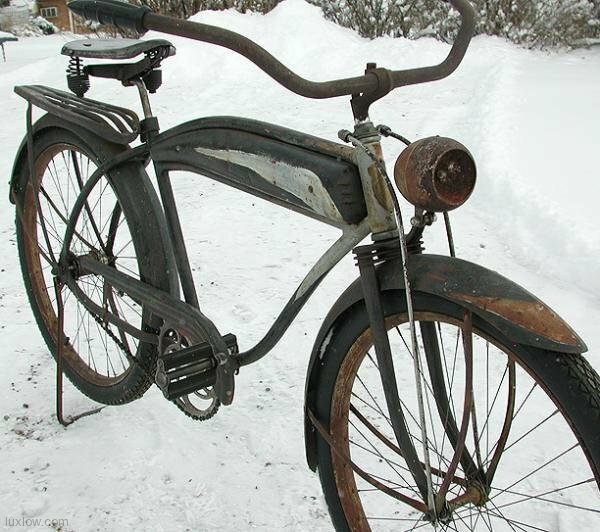 It’s Totally Rebuilt and Mechanically Sound with the Amazing Patina Preserved. 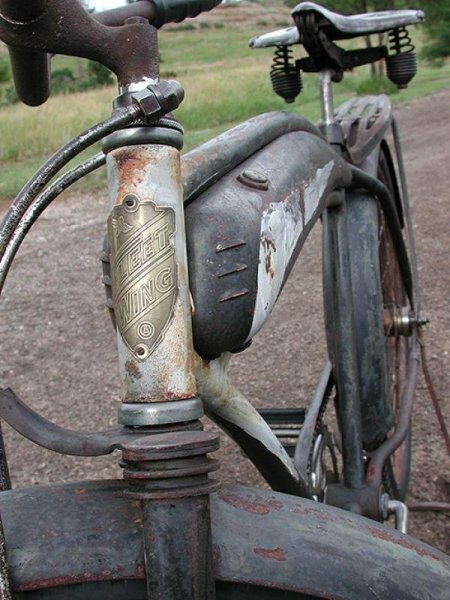 This Bicycle has Been Painted at Some Point in its life time by Someone and Regardless of their Attempt at Painting, The Patina Shows Charter that Cannot be Matched. The Original Paint and Colors can be Seen Inside the Tank. 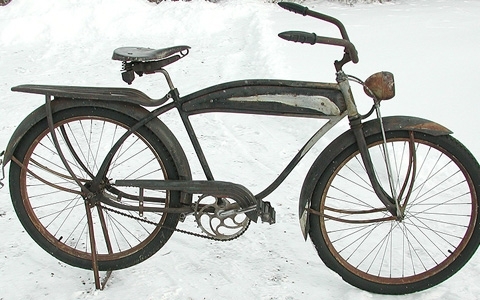 The Bicycle is a Rare Frame Set and is a Fully Complete Original. 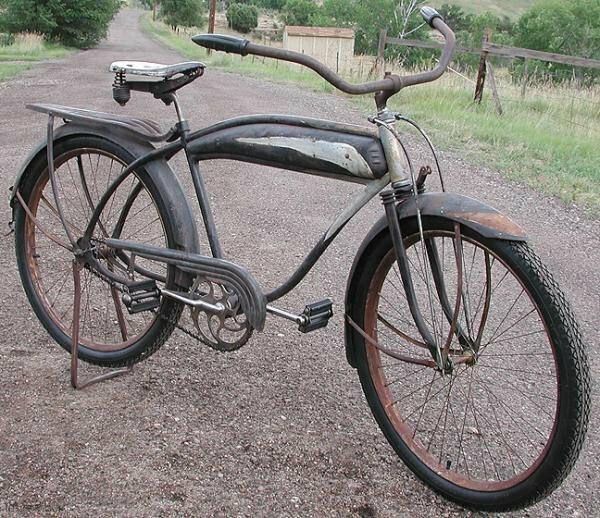 This CWC Bicycle has the Same Frame Set, Tank and Parts found on other Prewar CWC Bikes like the Roadmasters, Hawthornes, and Western Flyers. The Frame is in in Great Condition being Extremely Solid with No ReWelds. 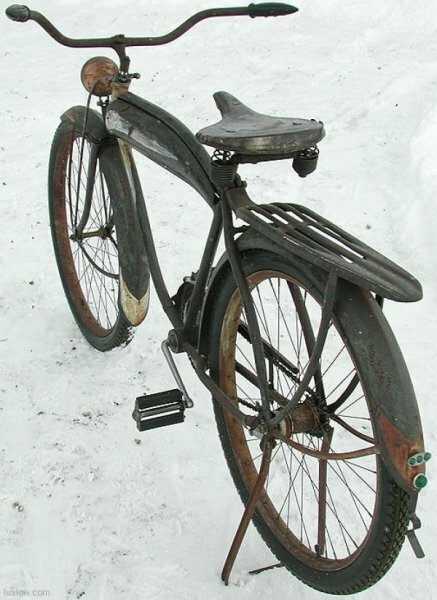 It’s a Fantastic, Old Tank Bike that’s Solid like a Tank and practically Indestructable. 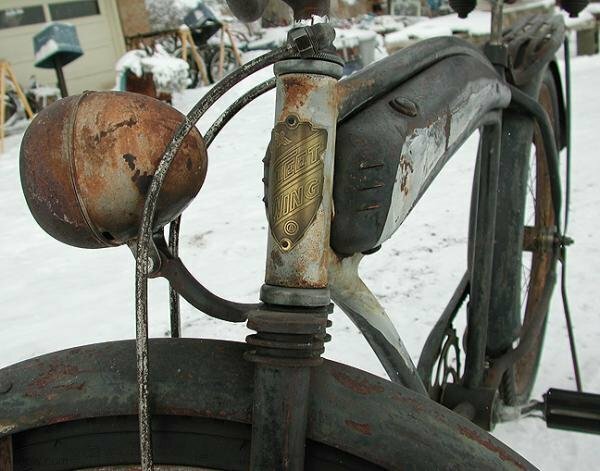 It has a Cool Fleet Wing Brass Badge and the Fantastic Light that gives it Extra Character. The Tank has an Early Battery Tray, Horn, and Delta Button. 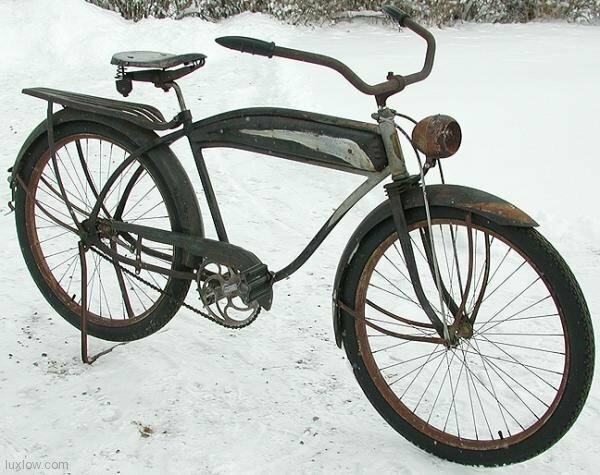 This is a Full Size Men’s Bicycle with 26″ x 2.125″ Drop Center Wheels. 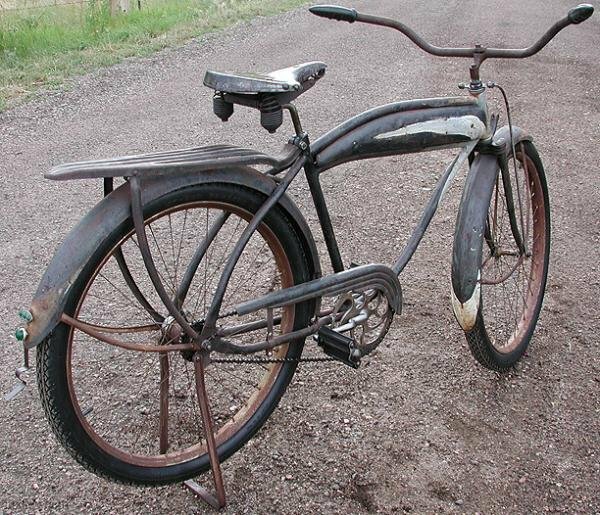 The Wheels have a Front New Departure Hub and Rear Morrow Coaster Brake. 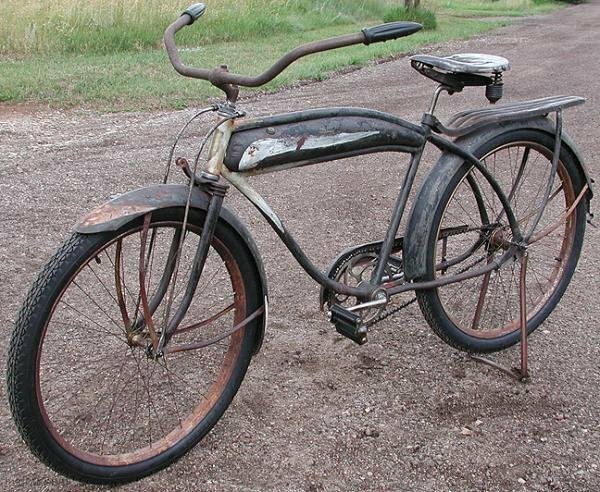 The Wheels Have Been Rebuilt, Trued and have New GoodYear Pattern Blackwall Ballooner Tires with a Rare Skiptooth Chain and Drive. 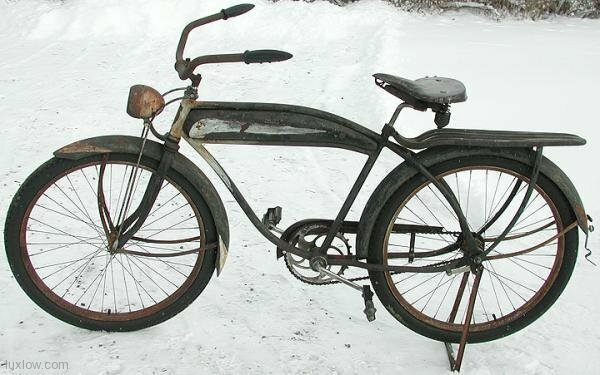 This is a Deluxe Bicycle with all the Bells & Whistles and although the Original Seat Cover was Missing, the Patina Matched Perfectly and the Ride is Surprisingly Comfortable. This Bicycle was Fantastic to Test Ride this Summer and Turned Heads around Every Corner.